You may have noticed that we have changed the look and feel of Wiltshire’s community reporters platform – Our Community Matters. We have squished the bugs that have dogged the old system for a while and added far more content for users. We love it and we think you will love it too. 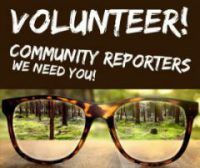 We have hundreds of community reporters across the County, people who use Our Community Matters to post news, events and volunteering oportunities. It makes sense too. OCM and its social media extensions generate 4.3m views a year, so you can get your stuff in front of an enormous audience using this service. @TeamCEM at Wiltshire Council have done all the hard work for you, simply register with your chosen site and post your items using our super-simple post system. It really is incredibly easy. Add a photo, a link, a video – whatever you like! You are in control of your own content – you are the reporter. Post about your hobbies, your interests, your group or project. We don’t think it could be any easier. And you can be confident that your posts will be seen by thousands of local people and for any reporter that is the aim of the game. We will be closing our old site soon, so if you are already registered you will need to set up a new profile on the new Our Community Matters website. Simply click on the login button from the tabs above and register. Once you are registered you can post as much or as little as you like. Your content will appear on the site immediatly, it will be included in our weekly newsletter and it will appear in our Twitter feed, so you post once and we post everywhere! Our fabulous community reporters are the magic ingredient that sets Our Community Matters apart from other community websites, so why not get involved. Its simple, its fun and it will get your information out there for all to see!